As well as 85.7 mg BIORED, a natural bioflavonoid. Responsible for the digestion of up to 49% of food. STRESS and antibiotic treatment are mainly responsible for the reducing in quantities of the bacteria in the digestive tract. 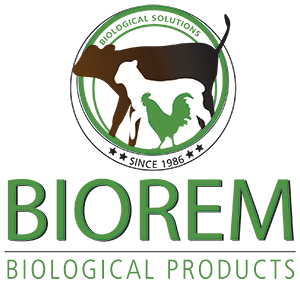 (See BIOREM for more information). Increases the natural vitamin A and E levels. considerably. 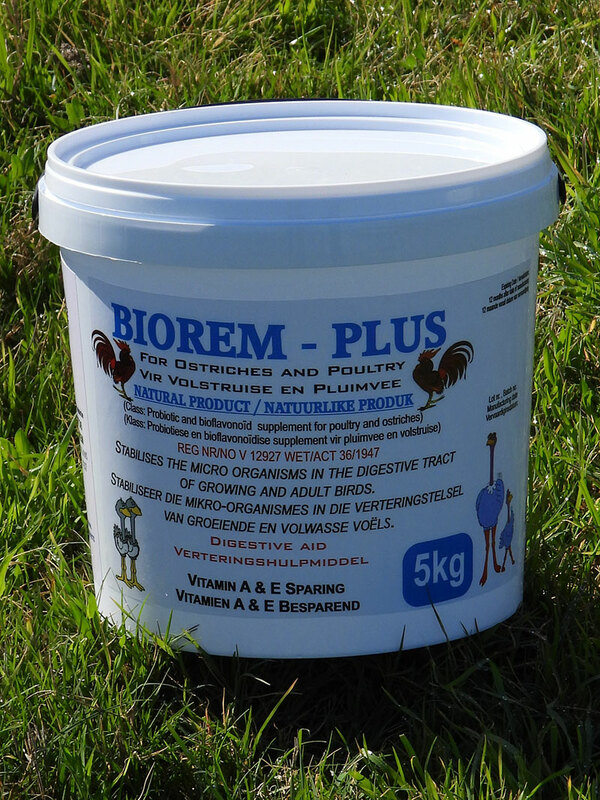 BIORED increases the general health levels of the ostrich, especially young growing chics and also the quality of the skin and feathers in adult birds. (See BIORED for more information). Medicate ostrich chics feed for at least 3 months with BIOREM-PLUS. The medication of the feed of birds older than 3 months can be amended. Sick birds have to be treated orally with the correct dosage, as their intake of feed is not sufficient to receive therapeutic levels of the medication. BI-OSTROSIN is recommended for oral administration. Feed has to be medicated during cold weather, handling, after antibiotic treatment, breeding, feedlots etc. 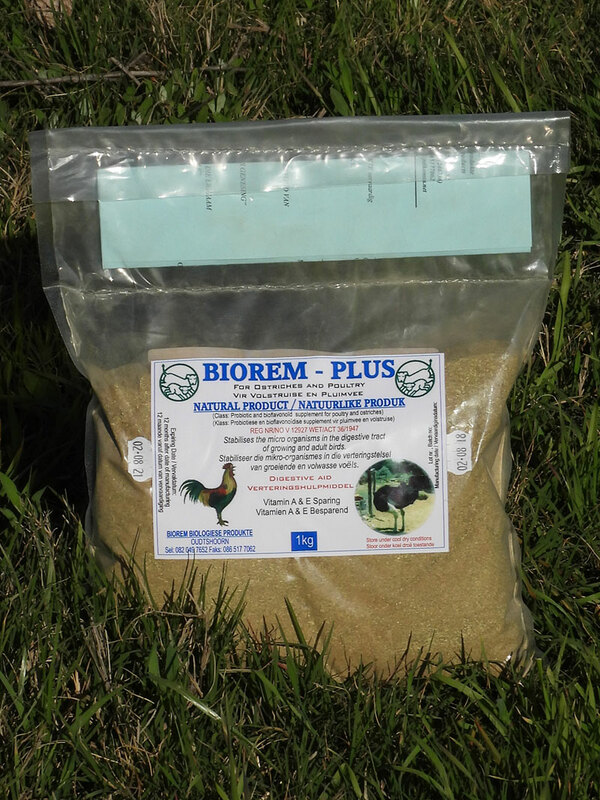 Mix 2kg per ton BIOREM-PLUS in feed for young birds up to 3 month of age. The frequency of administrating medicated feed can be amended for adult birds, but at least every second week for seven days. It increases the availability of the natural vitamin A and E levels in the body. These vitamins are thus used optimally and the need for additional vitamins is limited. Vitamin A increases healthy skin, feather growth and sight. Vitamin E has to do with the maintenance of healthy tissue. BIORED protects unsaturated fatty adds. BIORED increases the availability of energy.